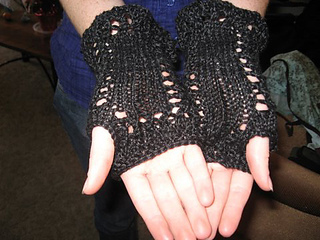 These simple lace fingerless gloves are a quick knit, a great beginner’s lace project. They have sort of a spooky, Tim Burton, spider web feel to them. 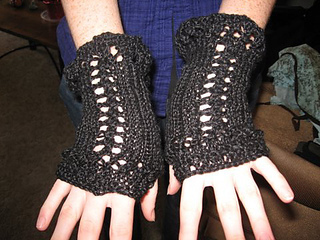 I haven’t done any test-knitting of them and there’s no exact gauge.